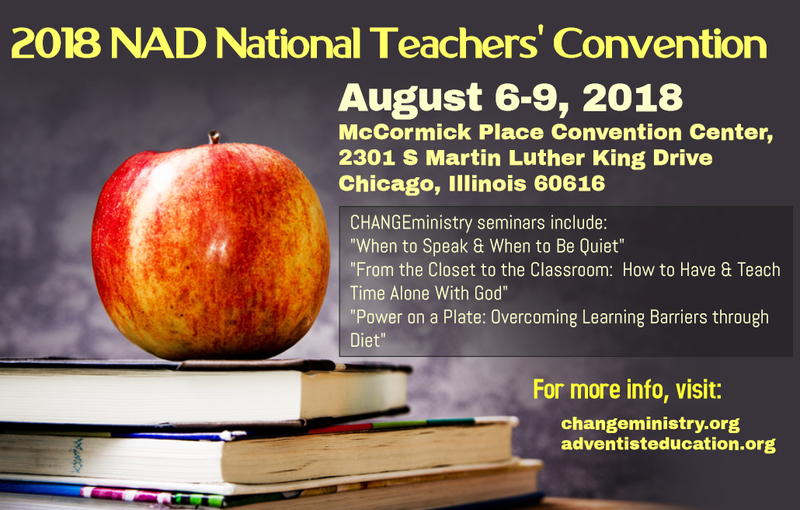 Grace, peace, & welcome to the CHANGEministry home for all our seminar resources from the NAD Teachers Convention 2018! We are glad you are here and hope that you will keep us as a part of your journey with Jesus. Understand the power of discernment in using the God-given gifts of speaking & silence in all of your relationships! Discover 6 essential keys that enable your time alone with God that to become a life that constantly follows Jesus! Learn foods to enjoy and foods to avoid through a lifestyle that promotes health for brain, body, and belief in Christ! Normally, we share these seminars over the course of a week or weekend to a group. As a result, lots of helpful insight, testimonies, and discussion had to be streamlined during the convention. That is why we would love to come to your church or school - near or far, big or small, and be a part of a revival where you are! Every place is different, so please do NOT let finances be a barrier to your breakthrough. In fact, if necessary, we will come to your group on our own expense because you, your students, and God's people are that important. To schedule a series, contact us today!